And the Wests are 'freaking out' over baby names! If four-year-old North West has her way, the world will soon be officially introduced to Star West, newest member of the Kardashian-West family. On an episode of The Ellen DeGeneres Show, Kim Kardashian confirms that she and Kanye West are expecting a baby girl via surrogacy, but they have yet to settle on a name. (And in all seriousness, she's just "not vibing with" Star West). So she turned to the guests at her lavish baby shower held over the weekend. Instead of playing the traditional baby games, Kim just wanted name suggestions. "At the baby shower, I was like, 'I just want everyone to write a name on a little tile and see if there's something that sticks," she says on the show. "We're freaking out. We have no name." According to Kim, big sister North has already opened all the toys meant for the new baby, but she's got a good reason for doing so. 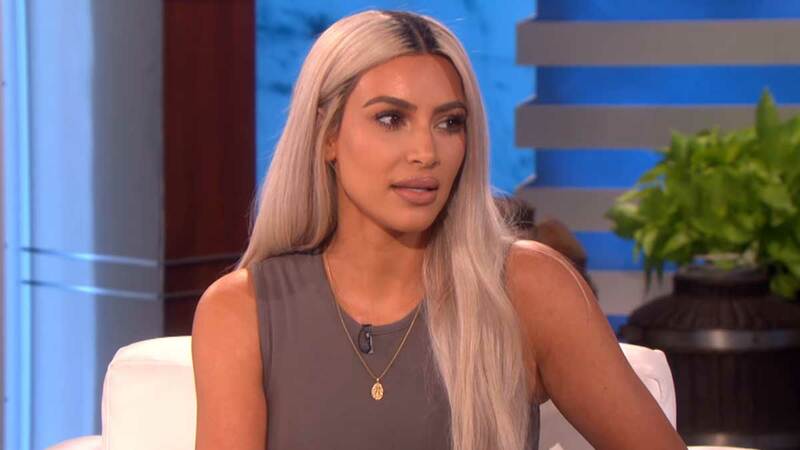 "She goes, 'Mom, since Baby Sister's not here, I think I need all of her toys in my room and play with them and make sure they're all OK for Baby Sister,'" Kim tells Ellen, adding that North's name suggestion has roots in her toy collection. "She has a toy, a llama. She named it Star West. She names everything Star West." Kim confirmed her surrogate's pregnancy in September in a trailer for Keeping Up With the Kardashians season 14 after months of rumors. According to TMZ and People, the surrogate, who is in her 20s and has two young children of her own, is due in January.